All 50 States and the District of Columbia have laws in place that seek to protect their populations from drunk drivers. Vermont, in particular, has a comprehensive set of statutes that cover all aspects of driving under the influence (DUI). Vermont DUI laws prescribe escalating penalties for repeat offenders and feature different intoxication limits by age and type of driver. Provisions for license suspension or forfeiture are also included to try to prevent recidivism. Knowing the specifics of the Vermont DUI laws can help keep you from committing a dangerous and potentially expensive crime while driving in the state. The Vermont DUI laws include blood alcohol content limitations that vary based on the driver’s age and if they’re driving for commercial purposes. If you’re under 21, the limit is set at .02%. For anyone over the age of 21, the limit is .08%, except for commercial drivers, for whom the limit is .04%. When pulled over, you must get out of your car if instructed to do so by the police officer. You do not have to consent to a roadside balance test. A video device will likely be recording for use as potential evidence against you. The officer may also request that you submit to a blood alcohol content (BAC) test. Yes, you have the right to refuse the BAC test. You also have the right to contact an attorney before consenting to the test. You must decide within 30 minutes of the request to take the test, even if you have not heard from your attorney. When asking you to take the test, the officer must inform you of the consequences of refusal. Vermont DUI laws include the concept of “implied consent”, which means that you face automatic penalties for refusing a BAC test. If the officer’s request is reasonable and you refuse, a mandatory license suspension of at least 6 months is imposed. Vermont statute (23 V.S.A. § 1202 Subsection B) also indicates that your refusal may serve as evidence against you if you’re charged with a crime. The Vermont DUI laws do not prohibit plea bargaining by defendants. If you are able to negotiate with the prosecutor, you may be able to plead “wet reckless”. 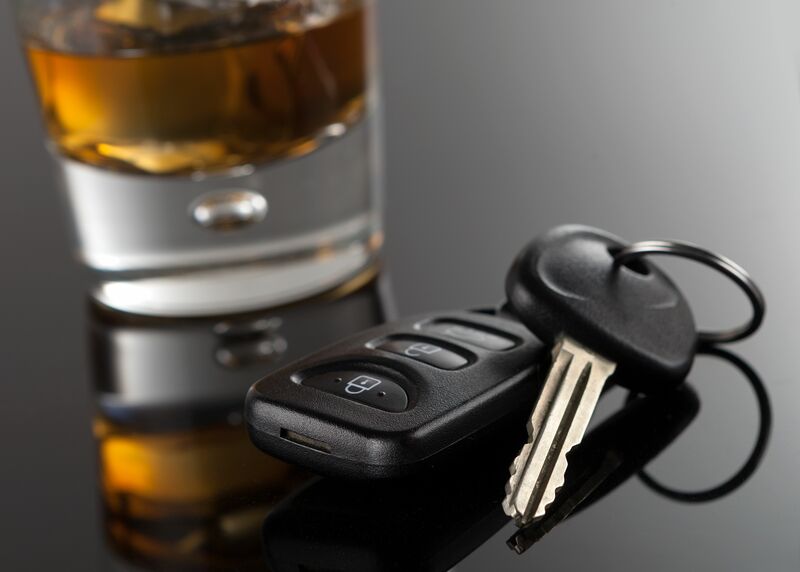 This plea reduces your charge from a DUI to reckless driving with alcohol involved. The lesser charge carries lower penalties and may have less impact on your driving record. Be aware that for a second offense, a “wet reckless” conviction may carry the same weight as a DUI in the eyes of the court. Under the current Vermont DUI laws, you will be subject to escalating penalties if you’re convicted. The penalties can include jail time, fines, and license suspension. You will be subject to numerous fees in order to get your license reinstated. You may also be required to purchase additional insurance before restoration of your right to drive in the state. For a first offense DUI, there are several punishments that will be meted out against you. For starters, your driver’s license will be suspended for 90 days. You will also need to carry financial responsibility insurance. These punishments are mandatory under Vermont DUI law. You may also be subject to a $200 Alcohol Assessment screening fee. There are also fees to reinstate your license after suspension. You will be ordered to attend an Alcohol and Driving Education program at a cost of $250. Besides fees, you will be subject to fines up to $750. In addition, you face imprisonment for up to two years. As with a first offense, Vermont DUI laws specify punishments for a subsequent DUI. You will be subject to the same fees and education programs as first offenders. Your license will be suspended for 18 months. The maximum fine that can be levied against you increases to $1500. You may receive a jail sentence of up to two years. An additional sentence including 200 hours of community service or 60 hours of imprisonment may be applied. A third DUI offense in Vermont carries the same penalties as previous offenses but can include lifetime license forfeiture. The maximum fine you might have to pay rises to $2500. The potential jail term is also increased to 5 years. The penalties set forth under the Vermont DUI laws for fourth and subsequent offenders are the harshest of all. For a fourth offense, all previous penalties are applicable. The maximum fine that you might pay can be as much as $5000. Most seriously, the maximum jail sentence you receive can be as long as 10 years. Keep in mind that if you had already had your driver’s license permanently revoked for a previous offense, you may be subject to additional charges. If you face further charges, they will carry their own potential sentences and punishments, which will be in addition to the DUI charge. It’s clear that the punishments for a DUI conviction in Vermont can be significant. The best way to avoid the problem, of course, is to never drink and drive. By planning ahead, you will be able to take steps to avoid being in a situation that may lead to an arrest for DUI. If you do find yourself in this situation, however, it’s also vital that you know your rights. Being aware of what is legally required of you helps minimize the impact that a DUI traffic stop may have on your life. Do you think you know everything you need to know to avoid DUI trouble in Vermont? Let us know if there’s anything we’ve missed by posting in the comments below. Your help may save someone else from having their life turned upside down. Hey Buddy!, I found this information for you: "Vermont DUI Laws: Fines, Penalties, and More". Here is the website link: https://www.duiauthority.com/vermont-dui-laws/. Thank you.